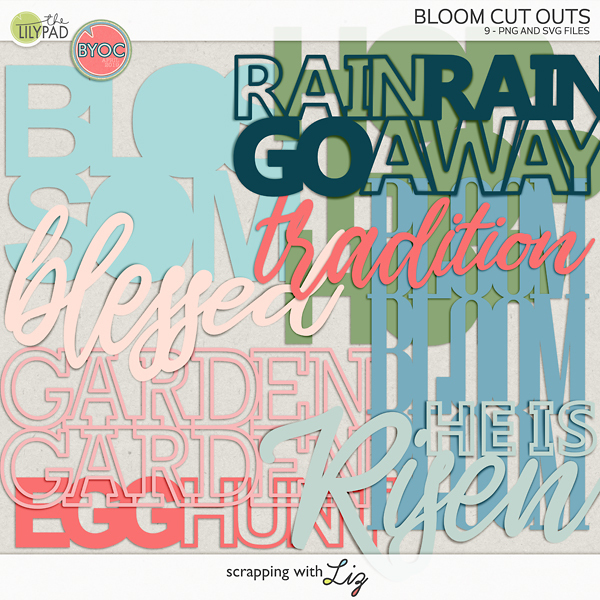 Scrapping with Liz: 50% Off One Day Only: Summer Templates! 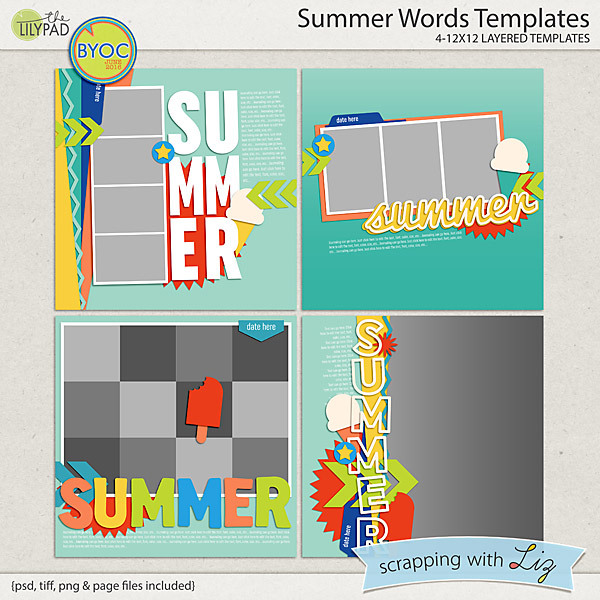 50% Off One Day Only: Summer Templates! 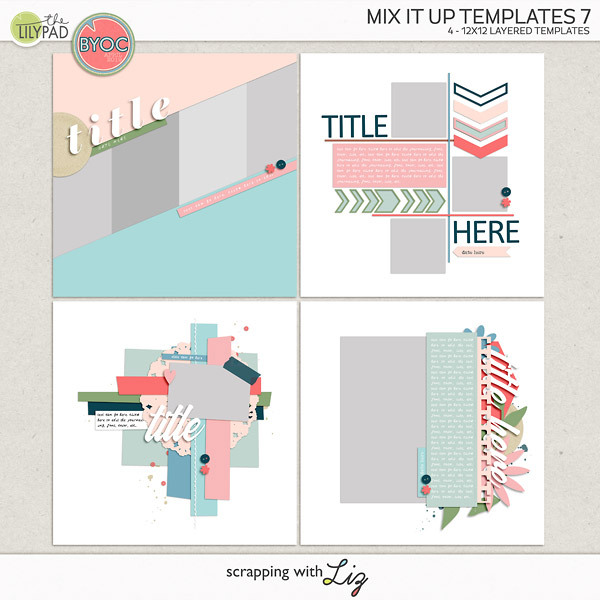 Today I have some wonderful older templates on sale. These are perfect for scrapping your summer - whether that be outings in the sun or water, or summer treats like Popsicles and ice cream. 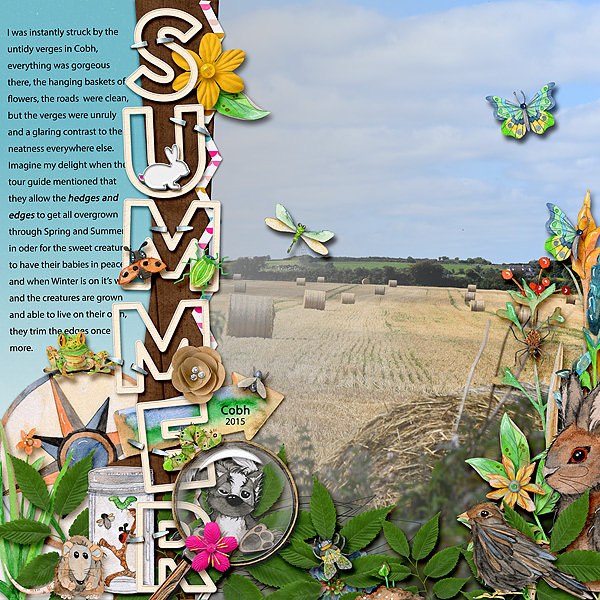 There is a lot of variety here, with big photos, small photos, one or many photos, cut-out titles, and lots of thematic shapes. Enjoy the 50% SOSN discount on these products today only, June 21, 2017. 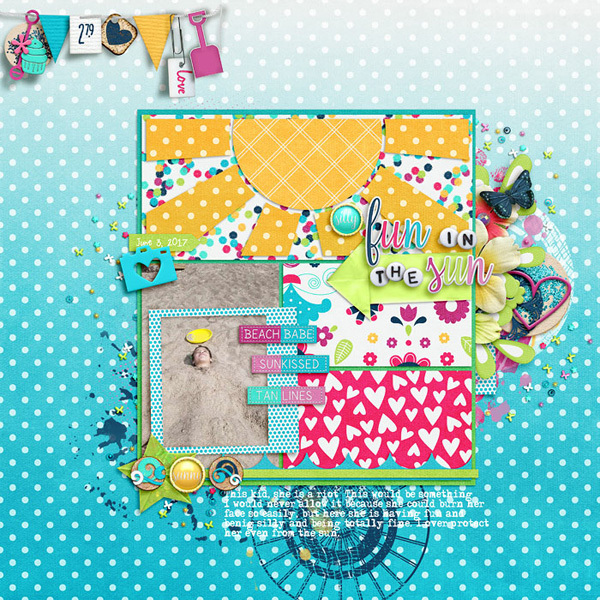 Stefanie used Summer Words Templates to scrap this gorgeous page. 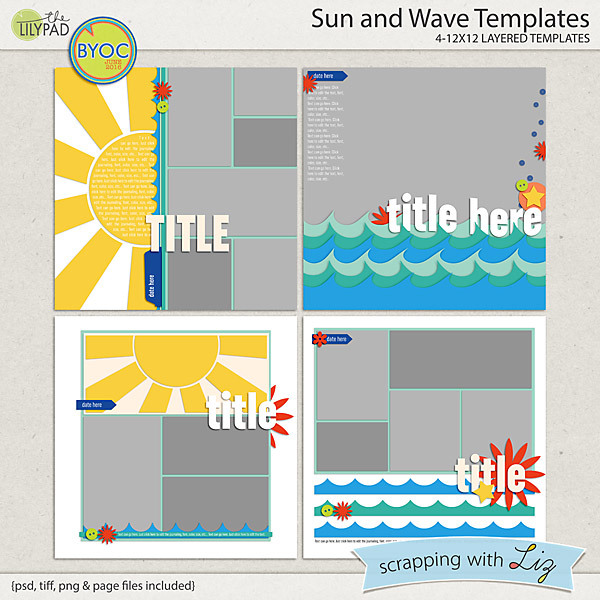 Dalis made this beach page with Sun and Wave Templates. Week 24: Food, Testing and a Race! NEW Recipe Cards and Pages! Week 22: Hiking, Water, Cheesecake and More!